Outback Steakhouse is packed Friday - Sunday, but needed to drive business the rest of the week. Dining patterns showed guests almost always came in groups of friends, coworkers, or family members, but tended to think of Outback toward the end of the week. If they could be reminded and incentivized to come in during the week, the existing patrons could begin to fill the gap. 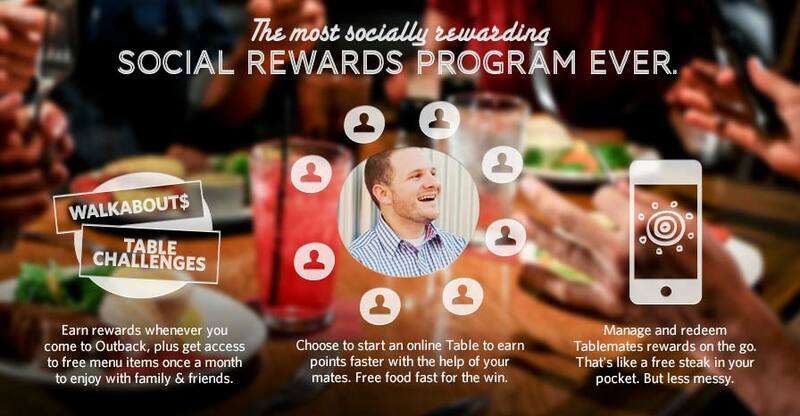 To further activate the existing guests, a social rewards program was proposed; a calling circle for dining. Guests would create their own group of Table Mates. Individual and group dining would lead to group rewards, further incentivizing participation and more frequent dining. The social rewards program would double as constant contact and mobile strategy while reinforcing the social rewards driving awareness and business. 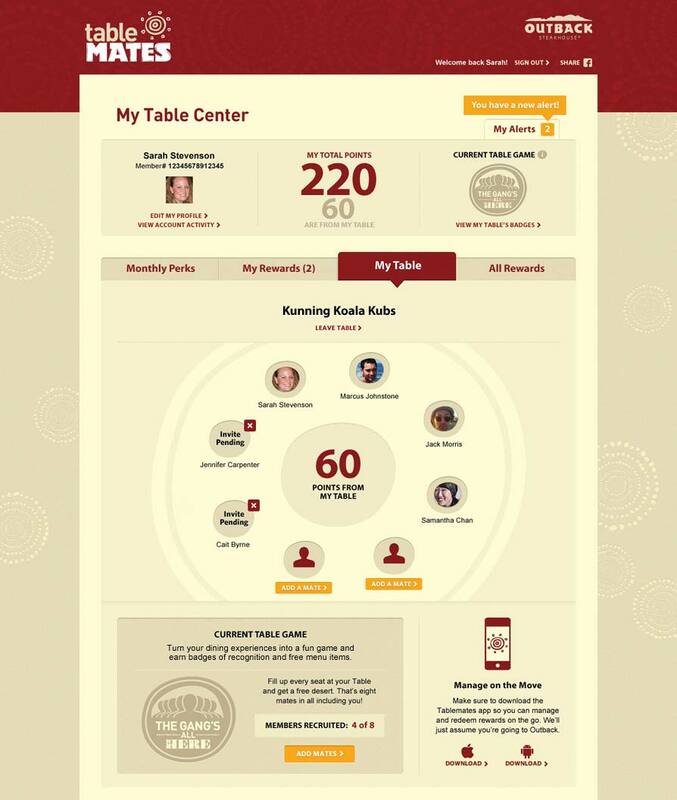 I led a team that re-thought the customer experience from start to finish, creating a social rewards system that rewarded diners for coming during the week and allowed them to trade rewards with a select social group, make reservations, pay, check in, trade rewards, and invite others from their browser or phone. In addition to overall conceptual, branding, visual, and system design, work included a comprehensive game balancing to ensure that the restaurant would continue operating with positive margins and could not be exploited while rewarding diners. The rewards program surpassed all benchmarks within the first 3 months of testing. 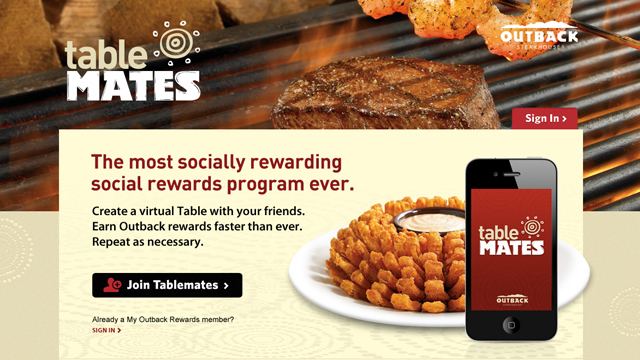 The program was so successful that it was expanded to encompass Bloomin Brands' other restaurant chains.